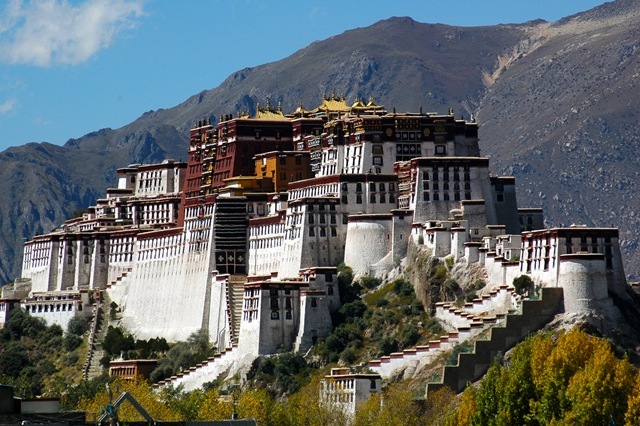 Lhasa, the capital of China’s Tibet Autonomous Region, has a history of more than 1,300 years. 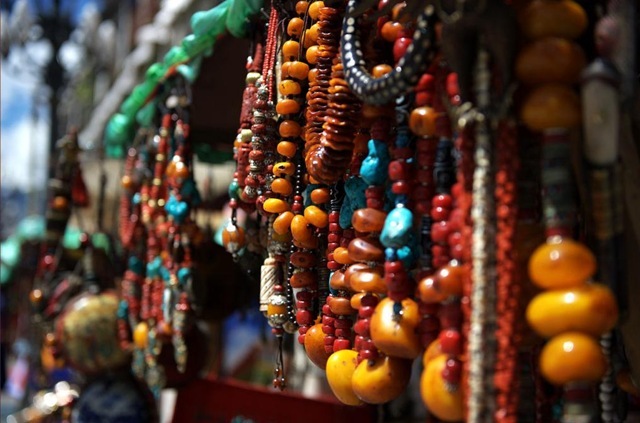 It is the political, economic, cultural and transport center of the region. 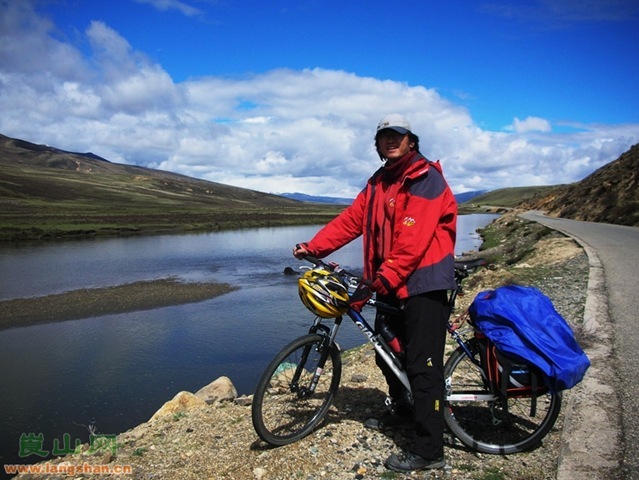 Lhasa covers an area of close to 30,000 square km. 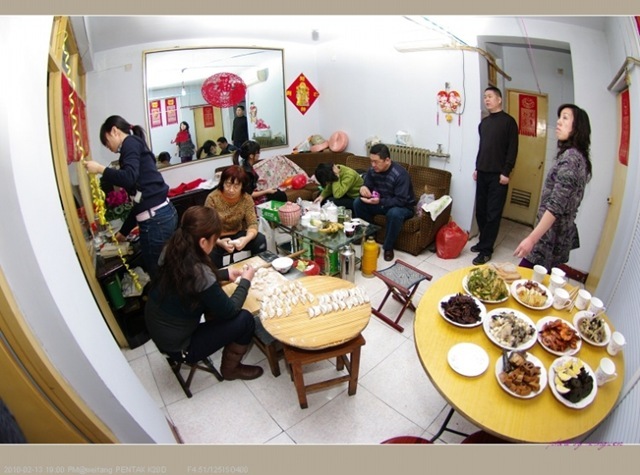 It has a downtown of 544 square km and a population of 400,000; 140,000 of its people live in the downtown area. 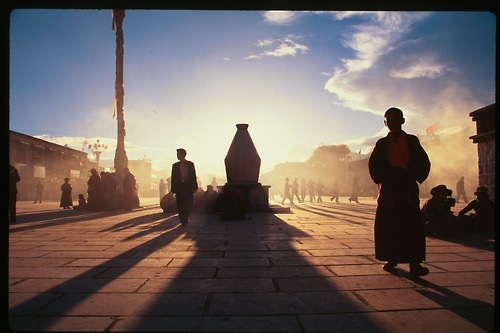 Lhasa is home to the Tibetan, Han, and Hui peoples, as well as many other ethnic groups, but the Tibetan ethnic group makes up 87 percent of the total population. 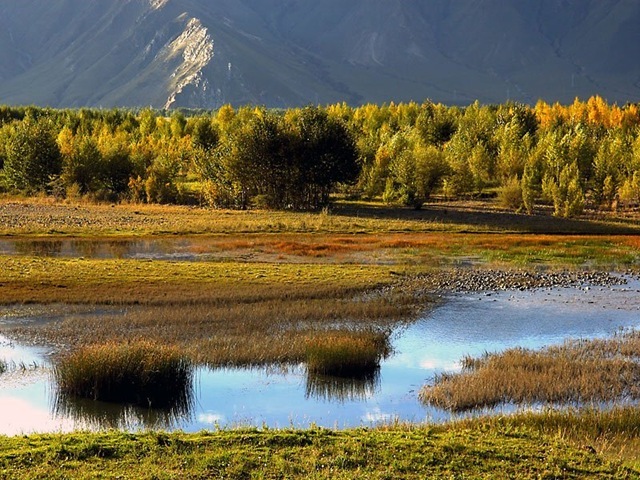 The Lhasa River originates from Nyangqentanglha Mountain (5,020 meters about sea level) on the Qinghai-Tibet Plateau. 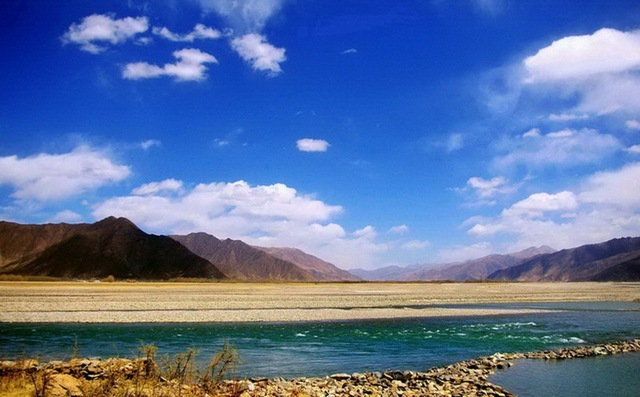 It as one of the five major tributaries of the Yarlung Zangbo is 551 km long and its drainage area is nearly 30,000 square km. The Ramoche Monastery was built to consecrate the life-sized statue of the twelve year-old Sakyamuni and the Jokhang Temple to consecrate the life-sized statue of the eight year-old Sakyamuni. In 710 AD, Chinese Princess Jincheng married another King of Tubo and swapped the location of the two statues; today the statue of the of twelve year-old Sakyamuni is in the Jokhang Temple and the statue of eight year-old Sakyamuni is in the Ramoche Monastery. It is said that there are only three life-sized statues of Sakyamuni in the world that were all molded according to the appearance of Sakyamuni at the ages of eight, twelve and twenty-five, all the three statues were consecrated in India at the beginning. The statue of eight-year-old Sakyamuni, which the Princess Tritsun brought to Lhasa, was damaged and is not in its full integrity today. The statue of twenty-five-year-old Sakyamuni was lost. The statue of twelve-year-old Sakyamuni is the most exquisite of the three. The Princess Wencheng spent three years bringing the statue from Chang’an to Lhasa. The statue is incomparable in honor. The Tibetan Buddhists trek a long way from their homes to Lhasa to worship this statue, not for the statue’s great value as a culture relic but rather that they strongly believe that the statue is exactly the same appearance as Sakyamuni 2500 years ago. This is their opportunity to have a look at a real divinity. 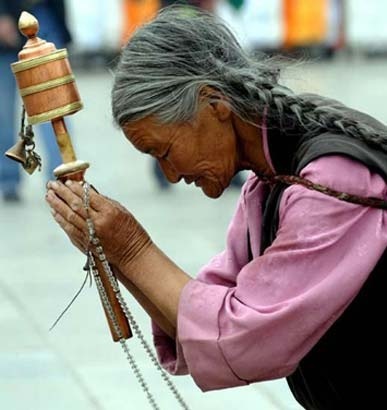 Lhasa is in part regarded as a sacred city because of this sacred statue. 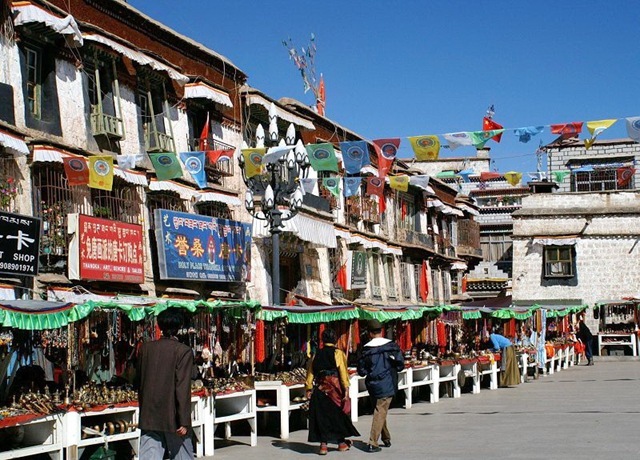 The history of the Jokhang Temple (Jokhang Monastery) can be dated back to the Tang dynasty. It was initially built by King Songsten Gampo probably in 642. 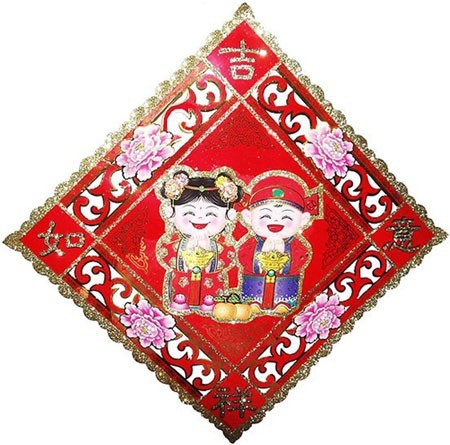 At that time, both Wencheng and Bhrituti, the Tang and Nepalese wives of Songsten Gampo brought important Buddhist statues and images to Tibet as part of their dowries. 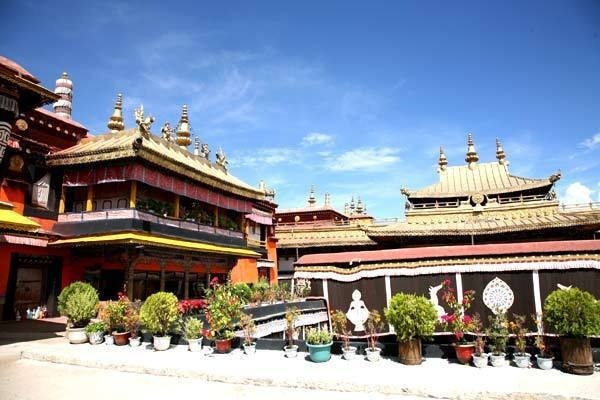 To house the statues and images brought by Princess Wen Cheng, King Songtsem Gampo constructed the Little Jokhang. 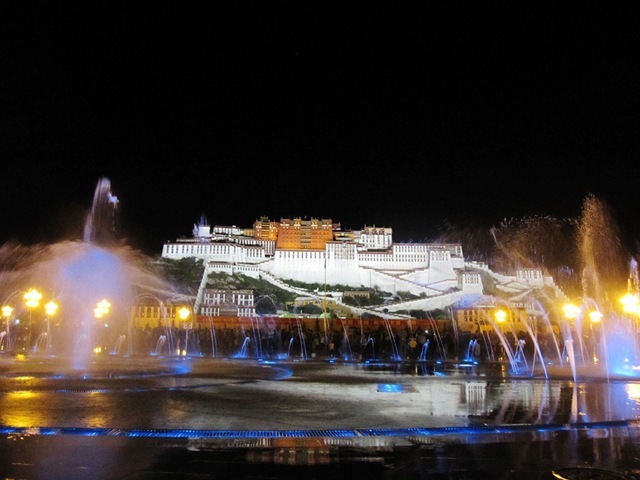 Jealous of her, Princess Burikuti asked the king to build a Jokhang for her as well. Therefore, in 647 the giant complex was put up. If you want to see the whole complex in a single view, which is an absolute delight, climb on to the square of the Jokhang temple, from where you will get the most amazing scenes of the temple. Here you will find two big steles, both inscribed. One stands as testimony to the alliance between kings of Tibet and Tang, and the other is a walled enclosure in front of the temple which contains some willows called the Jowo Utra (‘Hair of the Jowo’) and a doing or inscribed pillar erected by the Qing dynasty (1644-1911) in 1793 during a smallpox epidemic. It records the central government taught the Tibetan people how to prevent and treat this incurable disease.